Koncept VR at The 2016 NAB Show @ Booth #N8826! 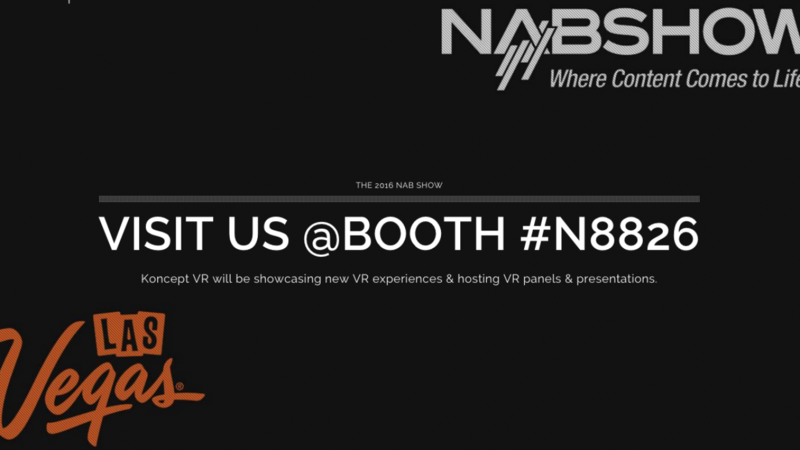 Koncept VR, Freedom360 and Vector Mount are proud to be hosting a booth at NAB in Las Vegas this year. NAB will be held at the Las Vegas Convention center April 16th through the 21st. 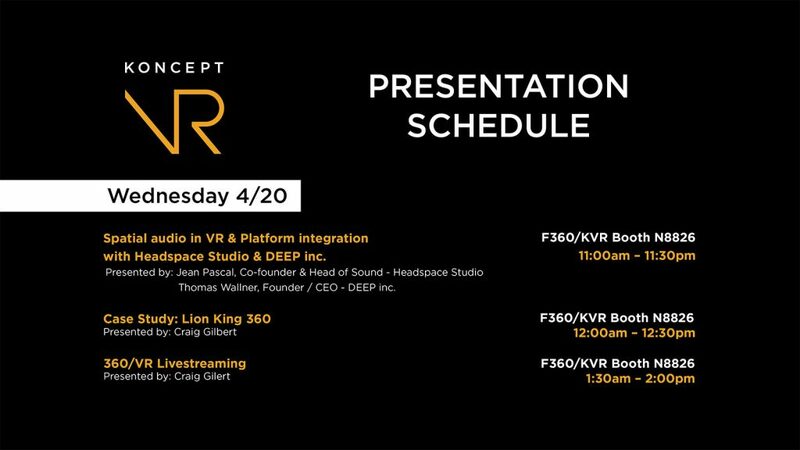 We are thrilled to be showcasing some incredible new work from Koncept VR, including rocket launches, underwater swimming among sharks, riding in the passenger seat with Jay Leno, and even standing center stage alongside the Broadway cast of The Lion King. In addition to the beautiful VR demos we have to show, there will also be opportunity to hear some great presentation from leaders in the VR industry and we invite everyone to come by (schedule for talks below). We will also be displaying all the great Freedom360 and Vector Mount gear such as our 360 video mount systems and their wide array of accessories. If you are interested in meeting members of our company and want to see our Gear VR exclusive demos, stop by the booth and say hello! 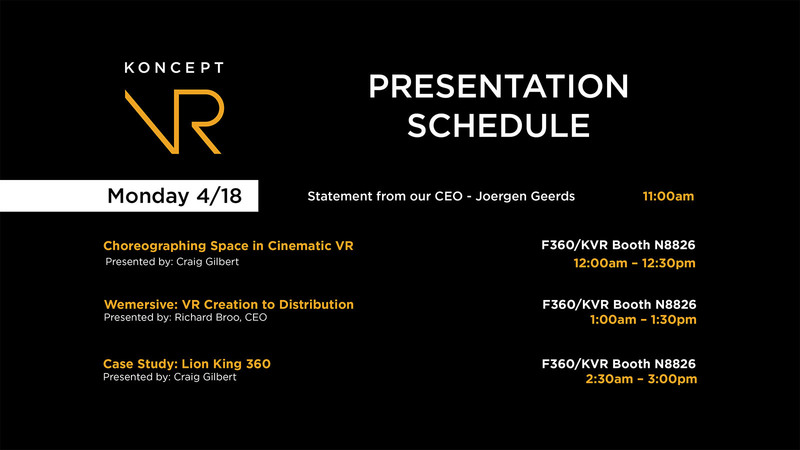 JOERGEN GEERDS – CEO of Koncept VR and Freedom360. 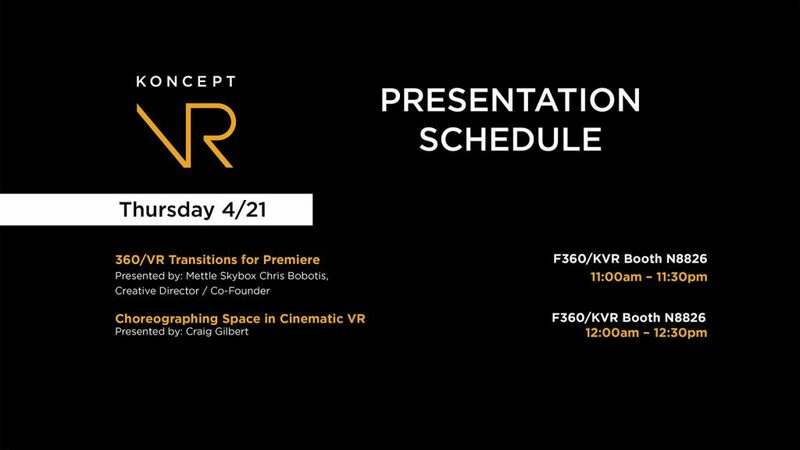 CRAIG GILBERT – Head of Development & VR Director at Koncept VR. JUHA KELA – CEO of Finwe Ltd.
THOMAS WALLNER – Founder / CEO of DEEP inc.
Make sure to stop by and say hello.